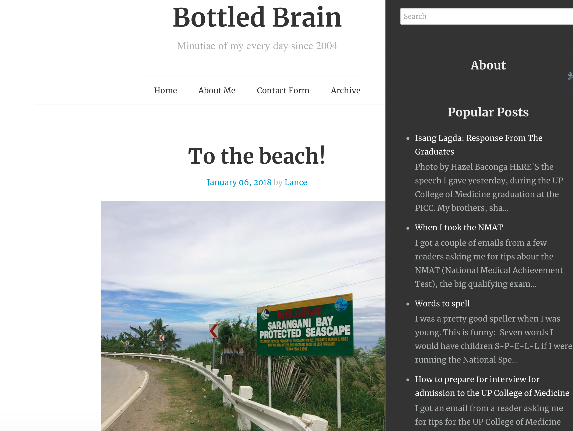 I'm pleased with the website's new look, thanks to this interesting repository of Blogger templates. I picked tdSimple, designed by Taras Dashkevych, for its elegance. It has a minimalistic design: single column, with a readable serif font. The side bar can be accessed through the "+" sign on the upper right hand corner. Its blockquotes are indented, in italics, in a gray background, just the way I want them to be. 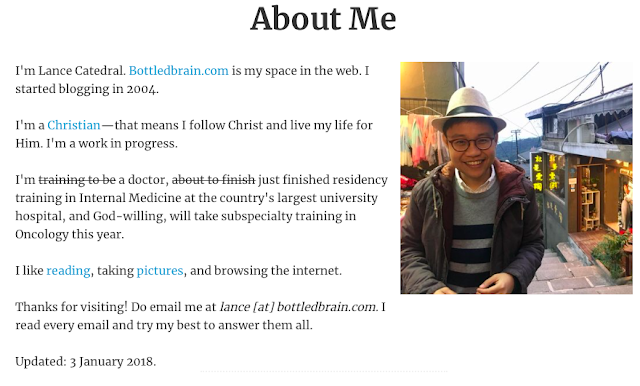 There's a new About Me page, featuring a photo of myself taken by my friend Racquel during a trip to Taiwan. 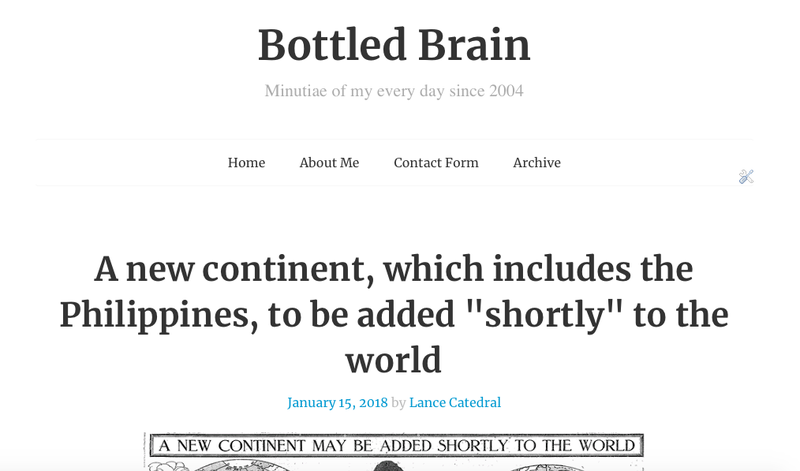 This redesign also comes with a new direction for this blog. For this year, I want to talk about myself less (a resolution that's probably antithetical to the new tagline, "Minutiae of my every day since 2014 2004") and therefore become more curatorial. 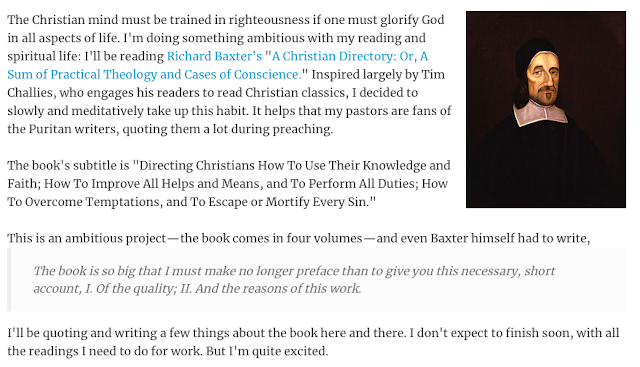 I hope to feature links and stories that interest me and you—topics along the lines of evangelical Christianity, literature and books, medicine and technology, language, and coffee. The Web features many good things, despite the many bad that have come with it. Thanks for always dropping by. Aww, don't move from FB to G+ totally please! That's how I differentiate the two: FB is about the personal and G+ is about things. I like knowing what's going with you even if only through your blog since we never see each other. Aww, Ate! Thanks for always coming to visit. I don't see myself leaving this blog anytime soon. Color me relieved. You did say "less" and not "nothing", after all. You're the best, Ate! Thanks. Already proofread the post.